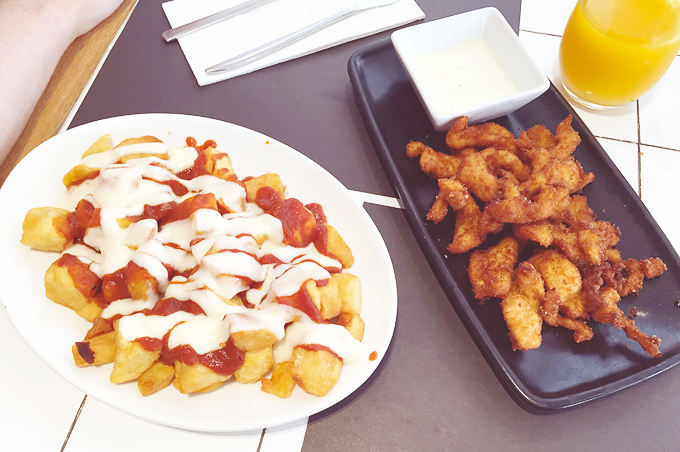 We sure ate some great food in Barcelona! 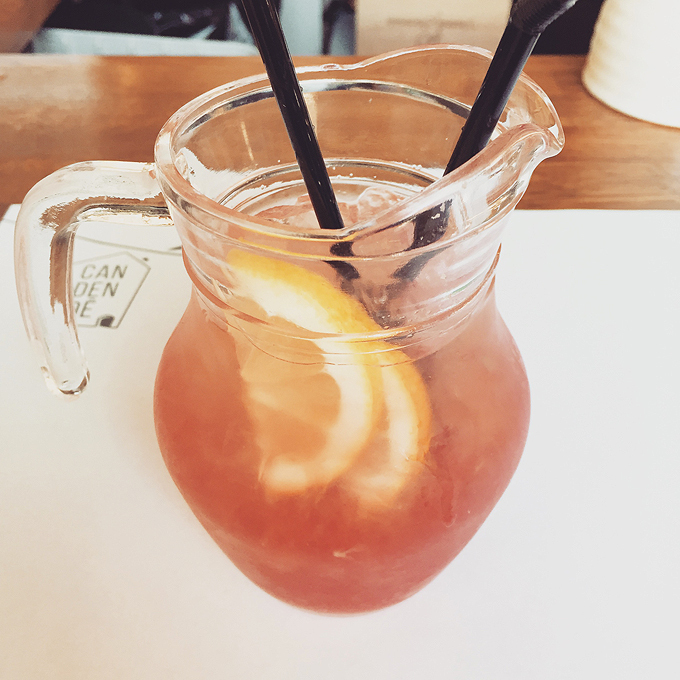 I took pictures of everything of course (what blogger doesn't) and have rounded up our absolute favourite places just in case you happen to be planning a trip! 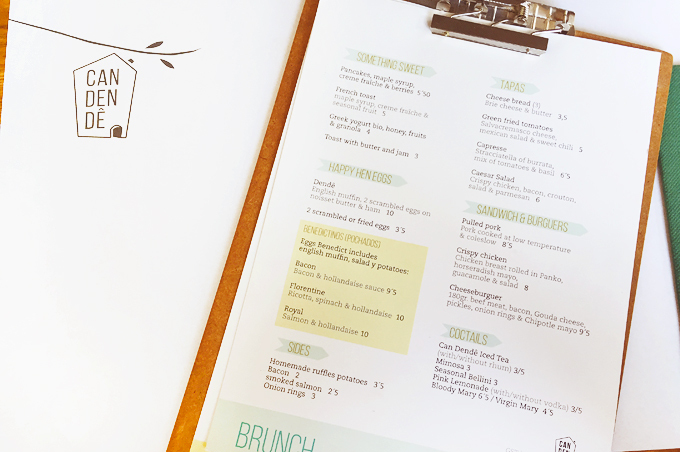 I'm starting with the best first, because it really doesn't deserve to be at the bottom of the list... Can Dende serves epic brunch, the best of the best. 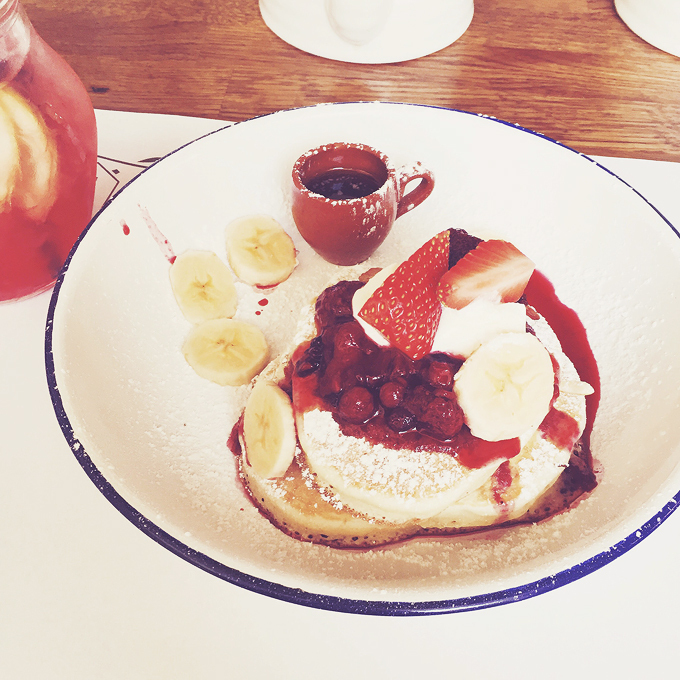 Pancakes to die for. We came here on our last day & I really wish we'd been every day before it so I could have sampled more of the menu, the eggs benedict look ah-mazing. 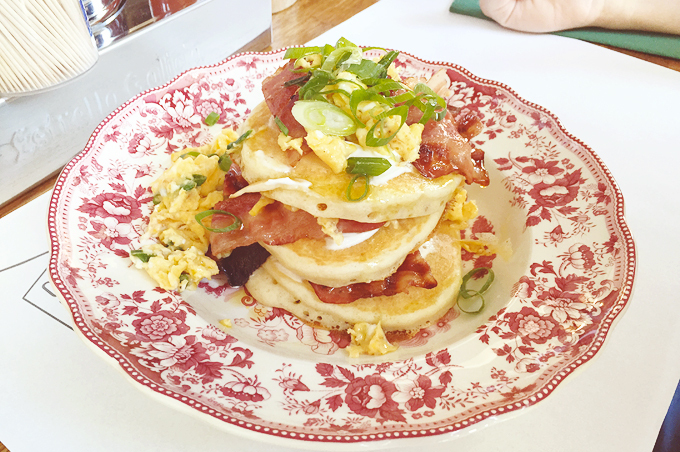 I had the pancakes with berries and a pink lemonade and Michael had pancakes with bacon and eggs, which I didn't try any of but he wolfed it down and said it was pretty darn good, and this is coming from a picky eater so I'll take it! The place is tiny - blink and you'll miss it - on a corner just near the Llacuna metro stop but the atmosphere inside is warm and friendly and from there it's just a short walk down to the beach to bask in the sunshine with a happy food glow about you. A definite must. 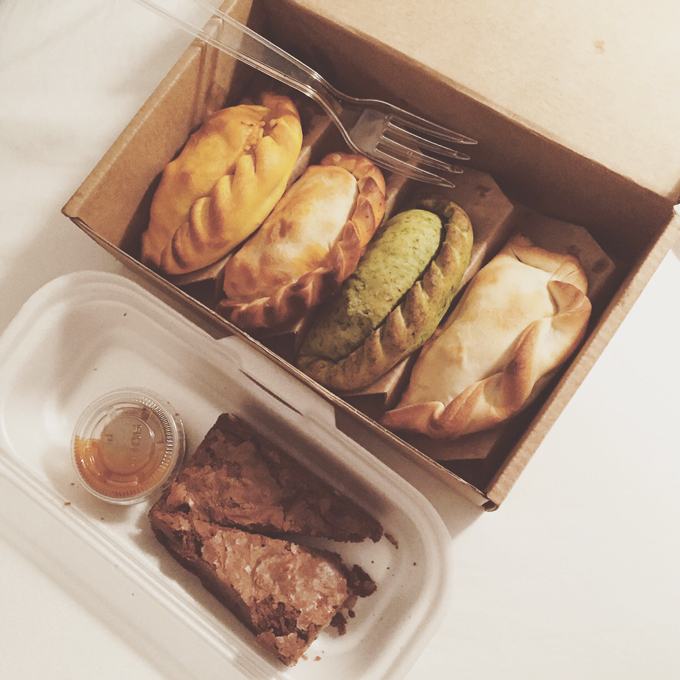 If you're staying in the centre of the city Muns may seem like quite the trek for just a few empanadas, but I think you'll find it's worth it. We were staying one metro stop further along so we got off at Poblenou, went to Muns and walked back to our hotel, easy. We loved it so much the first time that Michael insisted we go back on our last night and order extra empanadas - he has eyes bigger than his belly clearly because he couldn't finish a fourth. Prices are really good, you can get two empanadas and a drink for €5, though I would suggest three if you're pretty peckish, they're so moreish. The spicy beef and tomato, basil & mozzarella were personal faves! We stopped in this little creperie slash cocktail bar for dessert one evening and we were not disappointed. Two crepes and drinks for €10 - we didn't get any cocktails but I had a nosy at the menu and they sounded fancy, cheap and looked pretty. The crepes themselves were huge, I nearly couldn't finish mine (strawberries and Nutella of course). They come pre-sliced in a little cardboard plate so you can order them on the go if you like. Michael had a plain Nutella crepe too when he declared a success. 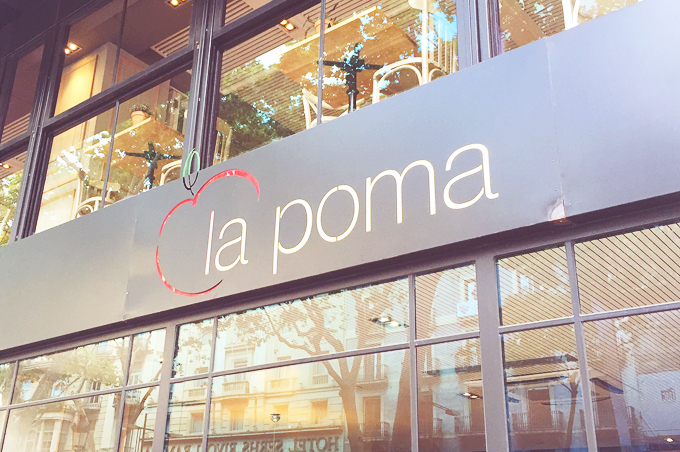 The place is tiny, and located in the gothic quarter at the bottom end towards the Barceloneta metro stop and the harbour. 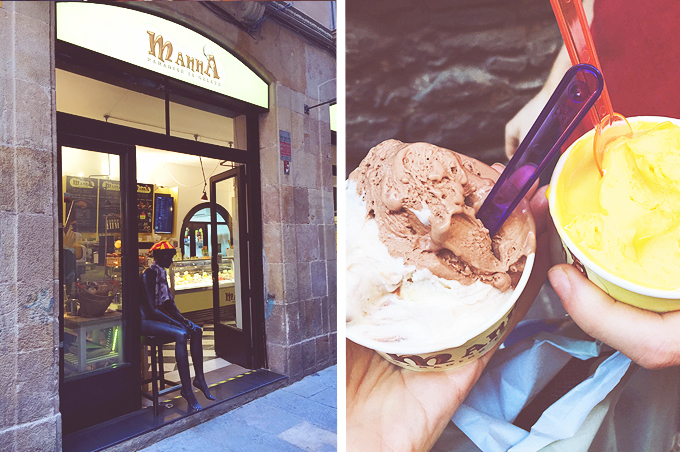 I didn't know it at the time but this is the number one rated ice cream place on trip advisor in Barcelona! 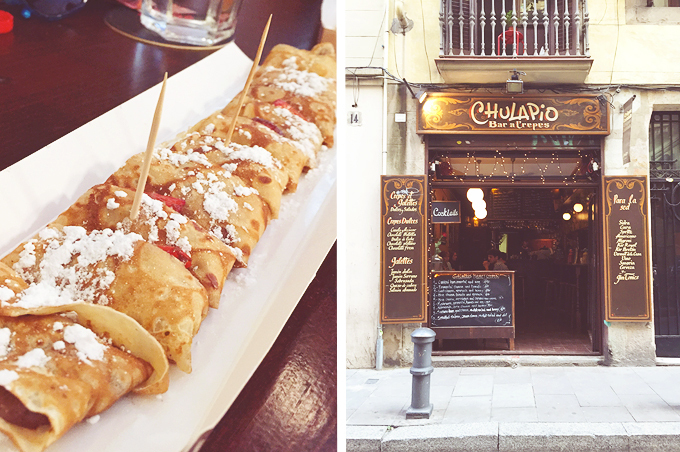 It's located in the narrow streets of the gothic quarter and is really close to the beautiful Cathedral square. They have a lot of sorbet options and the usual ice cream flavours - I went for milk chocolate and kinder egg whilst Michael chose mango. Both were delicious and seemed good value though when you're on holiday with foreign currency money seems to slip out of your fingers left right and centre! Have you been to Barcelona before? What do you think of my suggestions?